Pharmacists say they are struggling to obtain many common medicines including painkillers and anti-depressants. This is leaving patients complaining of delays in getting hold of drugs and pharmacists paying over the odds for common medicines. The BBC has found there has been a big rise in the number of drugs on the “shortage of supply” list for England. There are 80 medicines in such short supply that the Department of Health has agreed to pay a premium for them. This is up from 45 in October, although there was a spike in November 2017. There are a number of reasons why this has happened, but there are now concerns that uncertainty over Brexit will only make the situation worse. The Royal Pharmaceutical Society said there was “a massive shortage and price spikes”. There is concern that this could affect some pharmacies’ ability to deliver medicines, and cost the NHS more. 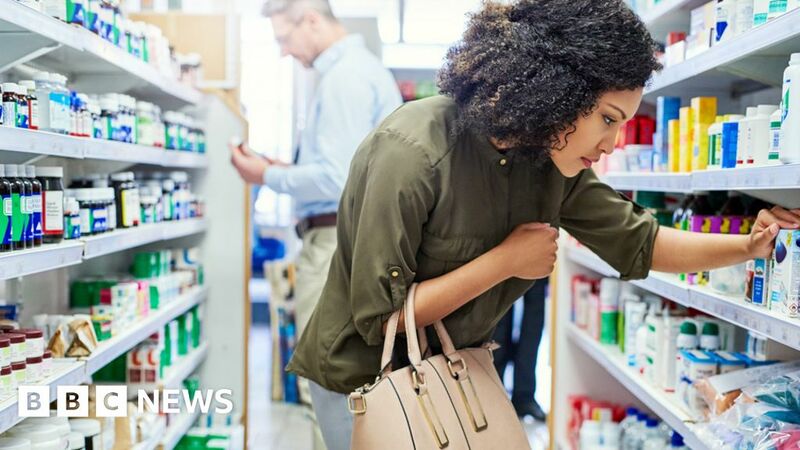 Pharmacies and patients in Wales, Scotland and Northern Ireland also appear to be experiencing similar shortages. Most people should be able to get their prescriptions filled as normal. But if they need one of the drugs that is running short, they might not be so lucky. Some pharmacists are sending patients back to their GPs to ask for a different medicine or dosage. Others are giving as much of a drug as they can spare and sending people away with IOU notes for the remainder. The best advice is to make sure you get prescriptions to your pharmacist in good time. It is almost always possible to come up with an alternative. However, that can be more difficult with conditions like epilepsy, where patients need to be on specific drugs. It is hard to obtain a definitive tally of which medicines are running short. But the industry in England uses a list from the Pharmaceutical Services Negotiating Committee (PSNC). It shows which drugs are in such short supply and for which ones the NHS has agreed to temporarily pay a higher price. The BBC has analysed this data and found that the number of medications on the list has grown six-fold in three years. During this time period, the peak was in November 2017, but there has been a recent surge and figures for December show it is approaching that level again. Academic researchers in Oxford University estimate that the cost of the 80 drugs in short supply would have trebled in December, from £11.4m to £37m. This is the extra cost being paid by pharmacists, and then reimbursed by the NHS, for drugs in short supply. This is about prescriptions for generic medicines, rather than specific brand names. For example, Nurofen is a common painkiller, but you can buy the same generic drug, ibuprofen. On December 2018’s concession list, 28 drugs, or about a third, were among the 500 most commonly prescribed. For example, furosemide is used to treat high blood pressure and other cardiovascular problems. It comes in various dosages, but one type, 40mg tablets, is the 23rd most commonly prescribed drug in England. Other drugs on the list include fluoxetine, which treats depression, and naproxen, which is an anti-inflammatory. What do drug companies say? Warwick Smith, director general of the British Generic Manufacturers Association, says stock levels can fluctuate. He prefers to call it a “tightening of supply” rather than a shortage. “It’s normal for levels of availability to increase and decrease, which impacts prices,” he adds. The government stresses that two million prescription items are dispensed in England every day, and the vast majority of medicines are not in short supply. Industry figures all stress that there is no single, neat answer to explain such a complicated situation. generic companies being unwilling to carry on selling unprofitable products. Another possible explanation is that the NHS has done too good a job of driving down the prices it will pay for drugs. The PSNC says this makes the UK a less attractive market for manufacturers. Has Brexit had an impact? The government has told manufacturers of both branded and generic drugs to stockpile six weeks’ worth of supplies, so that people would still get their medications if we have a no-deal Brexit. Hospitals, distributors and patients have been told not to stockpile their own supplies. Medicine shortages were at their worst in 2017, and although recent figures show the issue could return to that level again, one expert says Brexit is “not a factor”. “Shortages have been a problem for some years. It’s a fluctuating problem. They are now worse than ever,” said former Liberal Democrat MP Sandra Gidley, a pharmacist and chairwoman of the English Pharmacy Board at the Royal Pharmaceutical Society. Potential supply problems because of Brexit have led to manufactures being asked to keep a “buffer stock”, Ms Gidley told BBC Radio 4’s Today programme. The Royal Pharmaceutical Society in Scotland said the issue was a permanent feature of pharmacy life and can happen for a variety of reasons.